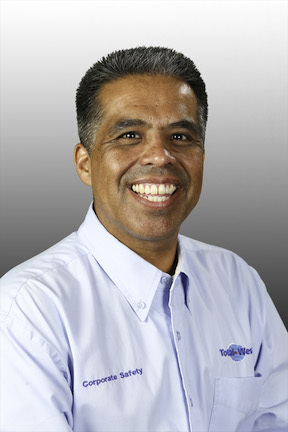 Corporate Management - Total-Western, Inc.
Paul joined Total-Western in 1995 and became president in 1998. 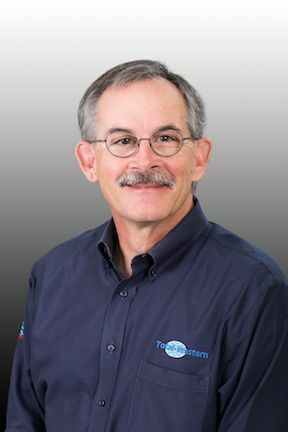 With more than 30 years of experience in management positions, Paul has a demonstrated ability to handle the diverse responsibilities that come with managing a multifaceted company with locations in multiple states. His experience includes serving as a liaison between clients and contractors, negotiating contracts, equipment procurement, and supervision of work to assure compliance with contract specifications. Paul has studied and specialized in maximizing the customer benefits of long-term contract performance. Since assuming the role of President at TWI, Paul has led the development and implementation of a dynamic and successful corporate culture through the creation and continual development of the PASS program. Paul’s leadership was instrumental in developing a highly competent management and supervision team that has in turn grown the company from $22 million to $100 million in revenue. 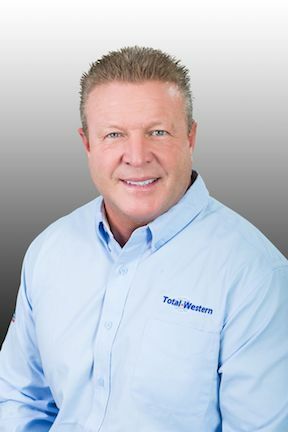 Leonard joined Total-Western in 1990 and has more than 30 years of safety-related refinery and construction experience as well as human resource and personnel management expertise. 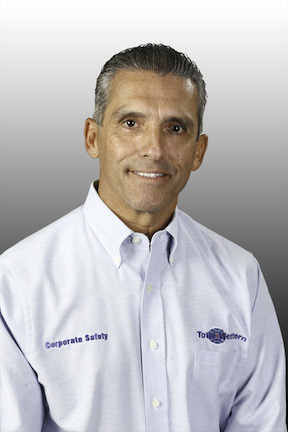 Leonard was instrumental in developing the PASS program and is experienced in corporate safety systems and accident prevention. Leonard has first-hand experience in fire prevention and medical emergency care, fire water system maintenance, establishment and implementation of safety initiatives and supervising safety personnel. Leonard is also knowledgeable and experienced in employment law, personnel management, and employee development. 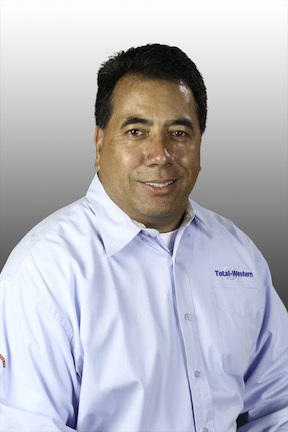 Earl brings more than 30 years of experience in the petrochemical and energy industries to Total-Western. His experience as both a refinery operator and a maintenance/construction contractor provides him with a unique perspective to manage the operating groups in the execution of work in oil & gas, as well as the power generation industries. His strong commitment to safety, quality, cost-effectiveness and personal accountability, combined with his organizational and management skills assures strong and effective leadership to the construction, maintenance, electrical, and projects groups. He believes that operating with adherence to our values will ensure successful projects for our customers and enable Total-Western to meet its goals. Kris has over 30 years experience in the petrochemical , energy, industrial and manufacturing industries. He has earned both a BA in Business Administration and a MS in Environmental and Occupational Health Sciences. His experience in operations, maintenance and construction working for both owner operators and as a contract provider gives him the ability to build high performance teams and strong client relationships. He is recognized for his ability to develop business and incorporate a broad base of leadership techniques including lean principles and Six Sigma to generate results. 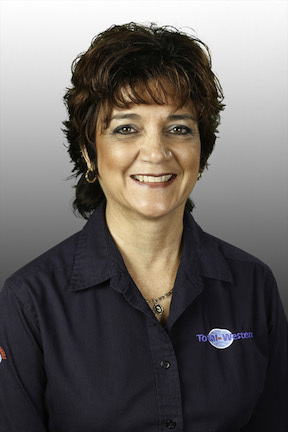 Diana joined the company in 1996 and brings more than 32 years of experience in a wide range of disciplines. Diana’s management experience includes marketing, sales, planning and scheduling, project management, software implementation, process implementation, project controls, contract review, and negotiation. Diana has earned an MBA and certificates in Project Management and a Project Scheduling Professional (PMI-SP). Diana’s areas of responsibility include: project planning, scheduling, cost control, process development, and implementation. Diana has excellent training and mentoring skills that have led to the development of a strong and competent planning and scheduling staff. 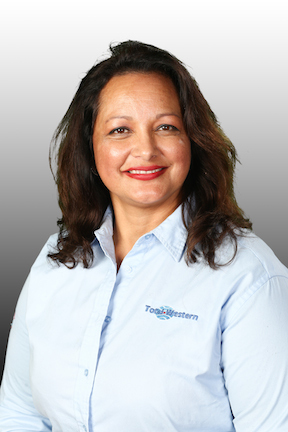 Judy joined Total-Western with more than 20 years of HR leadership experience working with an array of industries. Her strengths include the ability to think strategically, planning and executing HR leadership programs, recruitment, revamping HR departments to deliver a high level of customer service, and partnering with leadership in organizational effectiveness. Judy earned a degree in HR Management from Cal State University Long Beach and has been SPHR certified since 2002. 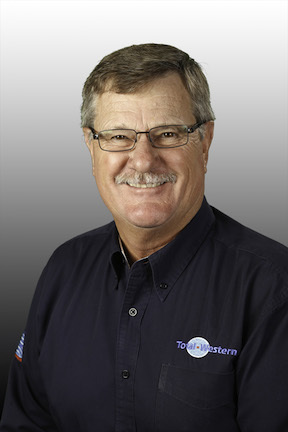 John has been with Total-Western for more than 15 years. His 10 years of field experience, pipefitting, and tank and vessel work led to a position in the warehouse overseeing all tools and equipment. 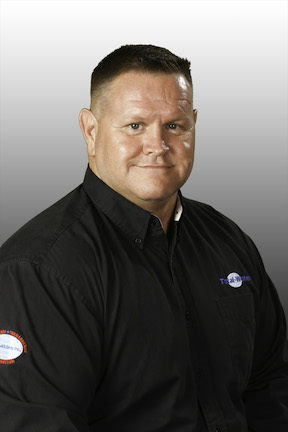 As Equipment and Fleet Manager, John is responsible for the readiness of all equipment and tools, the logistics to get all equipment to and from job sites and to make certain all equipment is operating in a safe and efficient manner. Ladon joined Total-Western in 2010 as the Corporate Quality Manager and is responsible for all aspects of QA/QC pertaining to welding, fabrication, repairs, maintenance and inspection in the companies many diverse fields. These include maintenance contracts in the refinery, petro-chemical and power generating industries. Ladon has extensive background in aerospace, boiler and pressure vessel and structural fabrication, and inspection of all types of metals, both ferrous and non-ferrous. Ladon is registered with the American Welding Society as a Certified Welding Inspector, CWI #01121521. He is qualified to perform radiographic film interpretation & magnetic particle/dye penetrant inspection, and is trained to ASNT-TC-1A requirements. Ladon is a member of California State Advisory Committee for Title 8 re-write to facilitate the implementation of repairs to ASME designed and manufactured equipment under the auspices of California Law and the National Board Inspection Code.